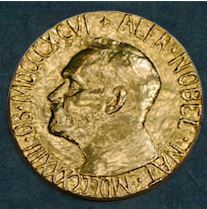 On December 10, 1906, President Theodore Roosevelt became the first American (and first President) to win the Nobel Peace Prize. He was awarded the Nobel Prize for brokering an end to the Russo-Japanese War (1904-1905), a war that claimed between 130,000 and 170,000 lives (sources disagree) and changed the balance of geopolitical powers in the world. For the first time, and Asian nation defeated a European nation. Even though Japan won most of the battles in the war from its inception, Russia had deep pocket and was prepared to let the war continue as he feared revolution would break out once the war ended (and people learned that Russia hadn’t won, as they were being told would be the outcome). Roosevelt summoned representatives from Russia and Japan (Sergius Witte, the envoy of Czar Nicholas II, and Russian Ambassador to the United States Baron Rosen, and Japanese Foreign Minister Jutaro Komura, and Japan’s Minister to the United States Kogoro Takahira) to Portsmouth, New Hampshire, where he negotiated the truce.